With excitement building ahead of his country’s Round of 16 encounter with Iraq, Qatar hotshot Almoez Ali, who made his senior team debut against them in 2016, is on the verge of writing himself into the competition’s history books thanks to the striker’s impressive goalscoring exploits at the AFC Asian Cup UAE 2019. Ali, who claimed the top scorer award at the AFC U23 Championship in 2018, has been in sensational form throughout the tournament, netting seven times in three matches – including a four-goal haul against North Korea – as Qatar claimed top spot in Group E en route to the knockout phase. 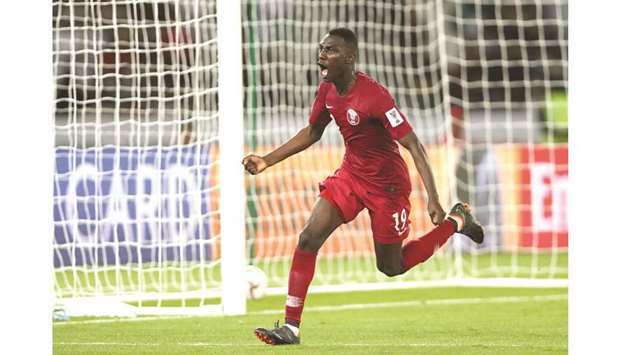 With at least one more game still to come, the 22-year-old Al Duhail SC forward’s impressive tally has seen him move to within one strike of the record haul by a player at Asia’s premier event, one which was set by Iran legend Ali Daei when he scored eight at the 1996 edition. Besides his ‘super hat-trick’ against the Koreans, Ali rounded off the scoring in Qatar’s 2-0 win over Lebanon on Matchday One and grabbed both goals in last Thursday’s 2-0 defeat of Saudi Arabia.